KO " Fort Noks" is located on the coast of Black sea. Has a parking, 20 rooms with all conveniences, bar, restaurant, terrace, a beach equipped with a shower, umbrellas and chaise lounges, Finnish sauna is available as well (a rest room, billiard, pool with sea water, a sauna, an exit to the sea). Complex consists of four floors with an adjoining sauna, a terrace and parking zone. 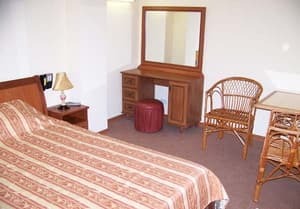 All rooms of deluxe class, from double to five-men rooms (one-room double, one-room three-bedded, two-decker beds, and two-room apartments). 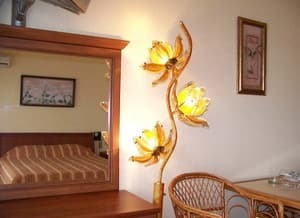 Rooms have satellite TV, conditioner, safe, a refrigerator, a shower, a bathroom and a bidet. The majority of rooms have a view on a sea. 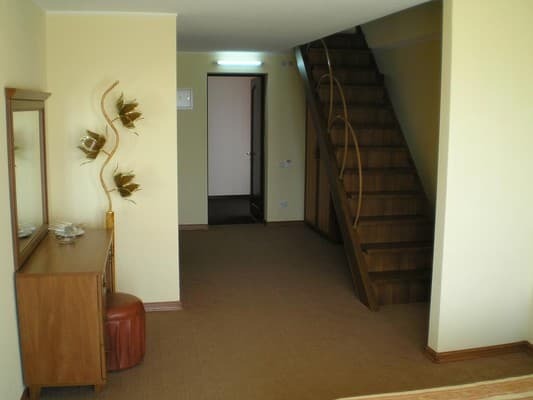 On the ground floor of a complex sauna, bar, restaurant with an excellent cuisine and terrace are located. 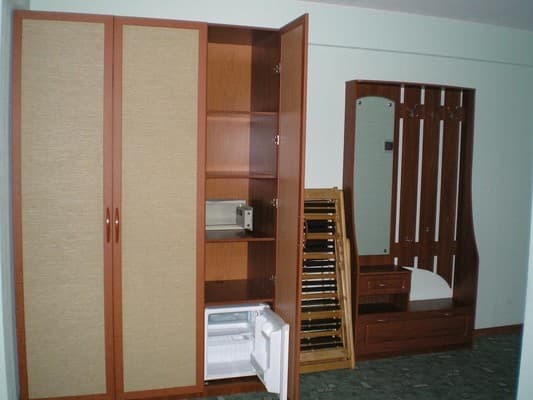 On the hotel territory there is also a laundry, room cleaning is every day, towels changing one time in three days and bed-clothes replacement in four days. 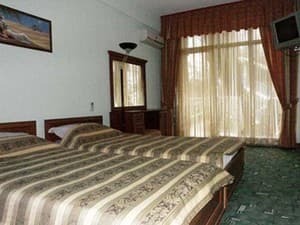 Description of the room: Cozy room with double bed and sea view. 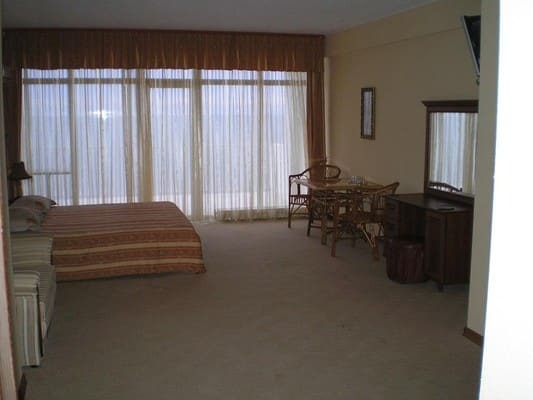 Description of the room: In the room there is a double bed, a sofa, a loggia, a view of the sea. 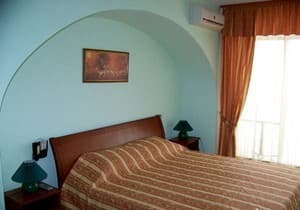 Description of the room: In the room: a double bed, a sofa, a large loggia with a view of the sea. 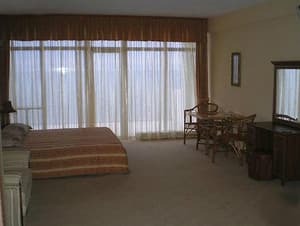 Description of the room: In the room: 2 double beds, a large balcony at the sea or a balcony overlooking the sea. 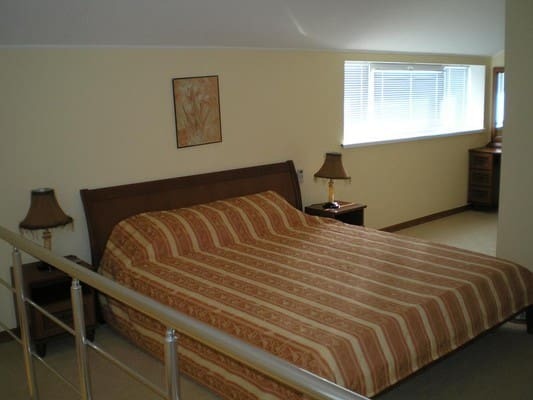 Description of the room: In the room: double bed, sofa, extra. a place. Очень приятный отель с удивительным видом на море и прекрасный восход. Вне сезона не работает бар и доставка в номера. Близость моря.Отель расположег в 10 метрах от моря. Это супер.В центре города.Практически на набережной.Администраторы отеля на высоте.Кухня хорошая.Отель отличный. Полная уборка номера,с заменой белья 1 раз в 3 дня.Нет определённой стоянки. интервал уборки - 4 дня. Without provision of additional place, children under 3 are accommodated for free. The cost of additional place is 50% from the main room cost. Complex is situated on the southeast coast of the Crimean peninsula, just at the seacoast, in 15 minutes from the centre. Direct train or in Simferopol bus station "Resort" is next to the railway station. Comfortable minibuses are sent to Feodosia every half hour, the journey takes about 2 hours.